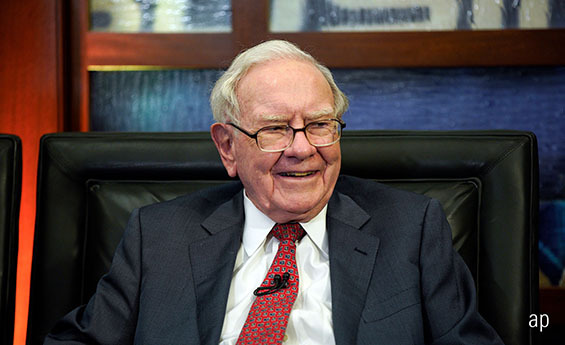 The idea of studying why Warren Buffett has been so successful was first looked at in detail in a 2012 article “Buffett’s Alpha” by AQR Capital Management’s Andrea Frazzini, David Kabiller, and Lasse Heje Pedersen. The authors evaluated Berkshire Hathaway’s results analytically. Previous accounts of Warren Buffett’s leadership were largely biographical. They conveyed Buffett’s personal experiences and mindset, but they were light on forensics. "Buffett’s Alpha" starts from the opposite side. Never mind the man’s life. What can we say about his portfolio, as measured by the latest diagnostic techniques? The essential starting point is leverage. No matter how well one selects stocks, there’s no competing over a prolonged bull market with somebody who also invests skillfully while putting more assets to work. And there’s definitely no competing with somebody who borrows that money for almost free. Such has been the case with Berkshire Hathaway. It’s no secret that the company’s insurance business provides extra investable assets, as its customers pay their premiums upfront and receive their claims later. It’s also no secret that Berkshire’s effective borrowing costs are exceedingly low. Buffett has frequently commented to both effects. The authors estimate that Berkshire has had an average leverage ratio of 1.7, with an average borrowing cost of 1.7%. You can try borrowing like Buffett at home, but you won’t succeed. Leverage fails as a long-term retail technique because the mark-up is enormous – several hundred basis points in annual interest expense above the Treasury bill rate. The method is more viable for institutional investors, but even they can’t approach Buffett’s cost. Nobody can. Over the past 50 years, the Federal Reserve paid 4.5%, on average, for its short-term financing and more than 6% for its long. Only Buffett can borrow for substantially less than the US government. There is little that other investors can take from his use of leverage except to acknowledge that investing with extremely cheap money is great, if you can get it. Can You Copy Buffett's Value Strategy? The authors wondered if Buffett’s stock picking results could be achieved by a mechanical substitute. To that end, they evaluated Berkshire Hathaway’s publicly traded holdings, with the Fama-French-Carhart four-factor model, which, despite its long name, is conceptually straightforward. The model measures a portfolio’s exposure to: 1) the overall stock market or beta, 2) value stocks, 3) small stocks, and 4) stocks that have high price momentum. The authors found that, as a general rule, Berkshire has invested in relatively cheap stocks – thereby supporting Buffett’s reputation as a “value investor” – that also carry low betas, or low correlation with the wider stock market. Its companies have been somewhat larger than the stock market norm, and they have not shown unusual price momentum. Along with the use of leverage, the benefits of Berkshire’s value bent explain some of its results. But a whopping 4.5 percentage points of annual alpha remain unsolved. Previous writers have noted the effects of Berkshire’s borrowings and value orientation. What they have not done, however, is address the remaining alpha, aside from waving their arms and intoning “genius”. "Buffett’s Alpha" takes the next step. Applying two additional factors, the authors state, explains Buffett’s accomplishments almost entirely. Berkshire bets against beta by leveraging low-beta securities, a tactic that provides higher returns than a similarly volatile approach of owning unleveraged high-beta securities. It bets on quality by purchasing profitable, safe businesses rather than speculative enterprises. The former tend to outperform the latter. When the low beta and high quality exposures are added to Berkshire Hathaway’s leverage and value tilt, Buffett’s alpha disappears. That is, when the authors constructed a portfolio that emulates only Buffett’s factor exposures, while incorporating no stock-selection ability whatsoever, that portfolio outgained Berkshire Hathaway’s publicly traded holdings. The authors’ robot investments included no trading costs, so the comparison is imperfect, but still ... it is fair to conclude that Buffett has been cloned. In investment jargon, the authors conducted reverse alchemy, turning Buffett’s gold into lead. What once appeared to be the “alpha” of stock selection skill has been revealed to be the mere “betas” of factor exposure. Of course, as the authors acknowledge, appreciating in 2018 the wisdom of leveraging to buy US companies that have low stock market betas, high-quality businesses, and relatively cheap price multiples is quite different from appreciating that strategy half a century ago, when Buffett took control of Berkshire Hathaway. We can look back, in hindsight, and re-evaluate Buffett’s alphas as consisting of several betas. We could not do so at the time. We may now understand the magic, but only the magician could have created the trick. It requires no stretch of the imagination to envision fund providers implementing the authors’ findings to create “Buffett-style” portfolios. You, too, will be able to invest like Buffett (minus the leverage)! Yes ... but you will not be able to invest like Buffett while doing so back in the day. You will need to do so now, when the stocks that carry Buffett’s favoured attributes have already been rewarded. Their secret, after all, is out. There is, however, one precept of Buffett’s that will always remain applicable: maintain liquidity. Berkshire Hathaway’s totals would not have been possible had Buffett needed to raise cash during market downturns. On the contrary, he had cash at hand, ready to put to work at the time when it would be most beneficial. That, at least, is an approach that retail investors can adopt.